The most significant event of 2009 will be the administration's foreign policies. Looming crisis in seven continents, six if you are European, is demanding attention, now. Worldwide economic crisis, food crisis, water crisis, energy crisis, drug wars, territorial wars, religious wars and wars against terrorism are center stage. The Obama administration will have to rebuild America's place in the worlds of politics, economics, science and technology. On the coattails of Dr. Condoleezza Rice, in comes the 67th Secretary of State of the United States of America, the Secretary of State Designee, Senator Hillary Rotham Clinton. If approved, and thus far, the RNC in its paralyzed state of shock and awe has failed to raise any credible objections to her designation, Mrs. Clinton will play decisive role in the administration's foreign policies. In implementing the administration's foreign policies, Mrs. Clinton must represent a new America, an America whose newly found Zen-like knowledge of its own strength and weaknesses will affect its ability to enforce its policies abroad. 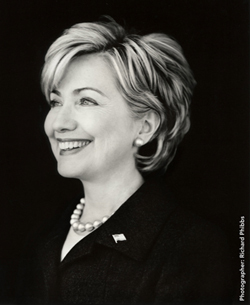 She will represent an America who recognizes that her greatness is no longer a matter of right but an achievement. Clearly, Mrs. Clinton has immediate matters to consider. If the war between Israel and Palestine's Hamas has not been brought under control, she will have to manage that war immediately, with the understanding that her management of this crisis will have long lasting effect on her effectiveness in other parts of the region. In the Middle East, she will have the untamed Afghanistan, the Arab conquerors and the "mighty" Persians to contend with. Mrs. Clinton must be able to convince friend and foe that her approach to the issues involving the Middle East, its people and histories is neutral and even handed, though her promise to obliterate Iran should it attack Israel has caused much doubt in her alleged neutrality considering U.S. has not taken any steps to "obliterate" the Palestinians or the Hamas for their attacks on Israel. So, while the Secretary of State Designee will have to follow the policies of administrations prior, so as to appear consistent and effective in policies that work, she will also have to be agile in making modifications and corrections to failing policies. And so, as a guiding light to chart new paths The Secretary of State Designee will inevitably look to the past and to historical policies of her predecessors. The pioneering work of Dr. Rice in Transformational Diplomacy is powerful and hopeful. Though dubbed the "illusion chaser", Dr. Rice's Transformational Diplomacy advocates a working relationship between the United States and its partners around the world in building and sustaining well-governed states whereby the needs of citizens are met within well-defined domestic and international boundaries. Mrs. Clinton's wisdom will undoubtedly lead her to adhere to at least some of the 5 core principles of Dr. Rice's form of Diplomacy. She will be wise to follow the Rice policy requiring diplomats under her department's control to gain actual "living time" experience in areas to which they will be assigned together with the requirement that they acquire thorough knowledge of the region's language and culture. Perhaps then the path between U.S. and its worldwide neighbors will be bridged by those who have knowledge of the within and not by remote policy makers of Washington. The Secretary of State Designee will also benefit from the policies of the Stetson wearing Episcopal converted Madeline Albright whose father Josef Korbel taught an international politics class attended by the then much younger Condoleezza Rice. It is known that Mrs. Albright, a personal friend of Hillary Clinton exercised great influence in policies involving the Middle East, Bosnia and Herzegovina, though she was considered neglectful of South Africa and the bombing of the two Kenya embassies. Mrs. Clinton's prior involvement in African politics, health and human rights including her support for Sudan Accountability and Divestment Act, which authorizes State and local governments to divest assets in companies that conduct business operations in Sudan and/or to prohibit United States Government contracts with such companies will perhaps fill the void created by Madeline Albright's neglect of Africa. Yet, harsh reality remains. The most challenging job faced by Obama's Clinton will perhaps be the Islamic Republic of Iran. By virtue of its history and geographical placement, Iran is without a doubt the single most important test of the incoming Administration's abilities. The Secretary of State Designee certainly understands that various hostile factions are threatening Iran's security. The devouring mother Russia and its independently unstable states are to the North, the hostile encroaching Sunni Arabs advocating a divided Shiia Persia are to the west and south, the homegrown Sistan and Baluchestan's separatists who have just subjected Iran to its first case of suicide bomber killing four people, volatile Pakistanis and the untamed Afghanistan to the East and from all around by the military presence of the United States of America causes much concern for Iran. It is imprudent to resolve outstanding issues with Iran, such as its support of the Hezbollah, sympathy for the Palestinian plight and its uranium enrichment program without simultaneously resolving issues involving its neighbors. The Secretary of State Designee's management of America's relations with Iran and recognition of America's historical less than desirable policies toward Iran is crucial. Perhaps the biggest mistake would be a demand upon Iran to take regional position inferior to that of the Israelis or to the Arabs while U.S. attempts to manage Iran's affairs remotely or by way of internal interference. To ignore regional threats imposed by its neighbors while attempting to squeeze Iran to adhere to what appears to be double standard is prelude to continued failed policies. Iran's deployment of its navy to face the Somali pirates, while appearing as an act of self-preservation, carries wide ranging implications. Aside from attestation to its naval powers and readiness of its officers to engage, it is evidence of its strong ability to set itself apart from its neighbors. It is reported that the Saudi Arabian "Sirius Star" was hijacked and moved nearly 450 nautical miles without being intercepted by any naval ship in the region. The Saudis failed to protect their cargo, yet Iran deployed its Navy to fight the pirates on the same waters as the European Union, the Americans and the Chinese. This is perhaps evidence of Iran's strong desire to be recognized as a regional power to be relied upon and deferred to in the management of regional crisis. As such, despite popular belief and recommendation, it is imprudent for U.S. to arrange meetings between officials of different rank of U.S. and a sovereign country though it will benefit the Islamic Republic to appoint as its Secretary of State a female counterpart. So, while Obama's Clinton at times gently and at times harshly thrusts Iran to adhere to policies believed by U.S. to be fit and appropriate, it must keep in mind that Iran's inclination to cooperate with U.S. largely depends on U.S.'s demonstration of its newly learned lessons of restraint and transparency. Mrs. Clinton will have to demonstrate to the world, including to Iran that U.S. has a refined sense of national security, which clearly defines threats against which the giant seeks protection. The United States can no longer demand greatness as a matter of right. U.S.'s accumulation of its greatness must be disciplined, restrained, thoughtful and deliberate. Mrs. Clinton will be representing an America whose economic health and policies are threatened and questioned even by friends and especially by those who hold American debt. While America presumably will continue to remain the most powerful country, any demonstrated inability to coalesce with regional powers with which U.S. has policy differences is an attestation to its inability to grow and learn from historical mistakes. Should this mistake be made, U.S. will continue to engage in failed policies in its Middle East relations.